Spencer Pigot addresses the press after his win in Houston. HOUSTON, TEXAS (June 29, 2014) Spencer Pigot, driving the No. 7 car for Juncos Racing led for all 30 laps and took the checker flag in the Pro Mazda Championship Presented by Cooper Tires at the Grand Prix of Houston on Sunday, June 29, 2014. The race on the 1.6 mile street course of NRG Park, was the second in two days for these up-and-coming drivers. Pigot, a resident of Orlando, Florida and driving for Juncos Racing, had an average speed of 84.462 miles per hour with a best lap time of 1:08.7171 minutes. He received to 31 points in the driver point standings for the win. Taking the runner-up position was rookie Neil Alberico, driving for Cape Motorsports with Wayne Taylor Racing. The Los Gatos, California native was 3.9977 second behind Pigot, averaging 84.301 miles per hour with a top lap time of 1:08.6893 minutes. He picked up 26 drivers points for his second place finish. Shelby Blackstock, driving the No. 28 car for Andretti Autosports, place third with and average speed of 84.009 miles per hour and a best lap time of 1:09.1998 minutes. Blackstock, who is a former University of Arizona student and a native of Nashville, Tennessee, is the son of country music superstar Reba McIntire. Rounding out the top five places were Ryan Booth (JDC MotorSports) in fourth place and Nicholas Costa (M1 Racing) in fifth. Local high school student, Clark Toppe, who is a junior at The Woodlands High School north of Houston, fought through the field, starting in the No. 12 position, to finish sixth place in front of the home town fans. The drivers will next meet on August 2-3, 2014 for the Mid-Ohio Sports Car Course in Troy, Ohio. HOUSTON, TEXAS (June 11, 2014) The players were happy. The fans were happy. 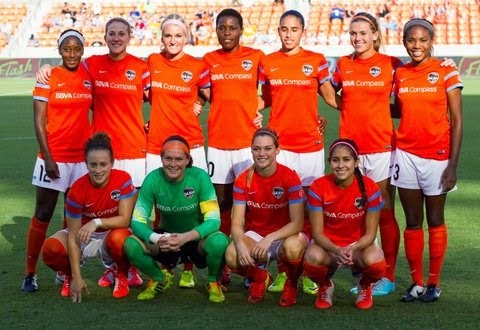 In fact, there was nary a sad face at BBVA Compass Stadium that was wearing orange and white as the Houston Dash won their first game at home with a 2-1 defeat of the Western New York Flash on Wednesday, June 11, 2014. With the win, the Dash are riding a three-game winning streak, raising their season record to 5-5-1. The first half of the match was a combination of attack and defense; with neither team able to get an advantage until the 40th minute. Starting forward Ella Masar was driving the ball toward the Flash goal when she was tackled by a New York defender. An alert Tiffany McCarty quickly picked up the loose ball, outmaneuvered a Flash defender and drove a shot past goalkeeper Lydia Williams for the top edge of the box. 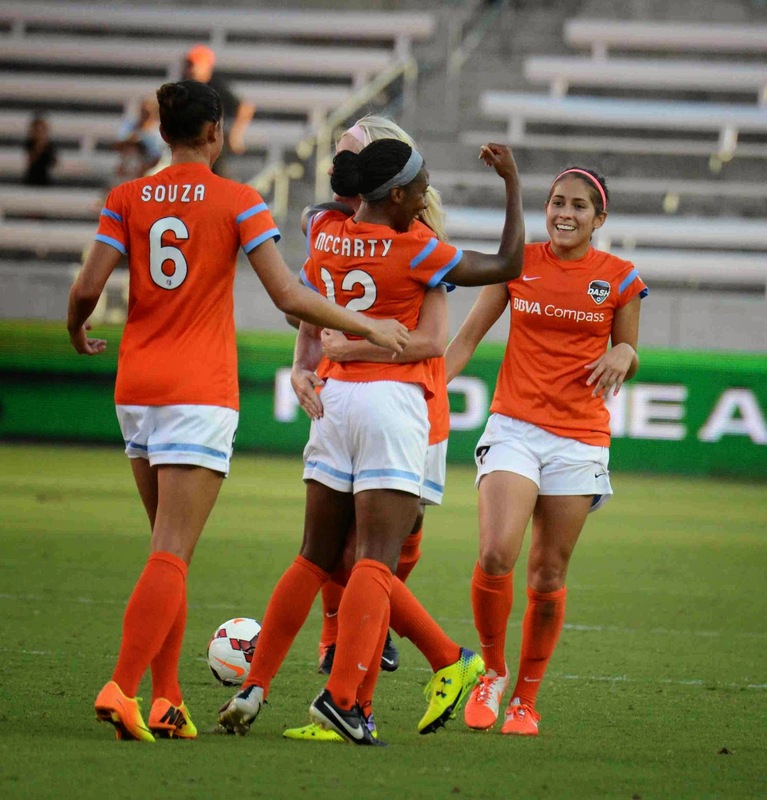 The Dash finished the half and retired to the locker room with a 1-0 against their east-coast rival. The second half saw both teams score within two minutes of each other to close ou t the scoring and the victory for the Ladies in Orange. The Flash scored in the 62nd minute on a chip shot by forward Adriana Martin to tie the score at 1-all. The Dash responded two minutes later when they were awarded a penalty kick after midfielder Kaylyn Kyle was fouled in the box. Midfielder Teresa Noyola was sent to the line by Dash head coach Randy Waldrum and she responded to the call; sailing the ball past Williams for Houston’s second and final score of the game. The Dash will have a quick three day turn-a-round as the host FC Kansas City on Saturday June 14 with an 8 p.m. kickoff at BBVA Compass Stadium. 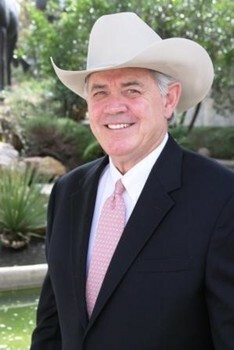 HOUSTON, TEXAS (June 8, 2014) The Houston Livestock Show and Rodeo, announced on June 5, 2014, via press release, that Jack A. Lyons has been elected as their new chairman of the board by their board of directors. He takes over the chairman duties after serving one year as chairman-elect of the board. The long time volunteer, who began his service in 1981, has served on a variety of committees; including the Quarter Horse Committee and the World’s Championship Bar-B-Que Committee. In addition, he has served as a show vice president along with being the officer in charge of communications. In his private life, Lyons is the managing director at Wortham Insurance and Risk Management and graduated from Southwestern University in Georgetown, Texas in 1975. Volunteering is not just limited to Lyons. His wife, Nina has served on the Quarter Horse Committee, while their son Chad in a Captain on the World’s Championship Bar-B-Que Committee. Lyons will oversee the entire livestock show and rodeo, which emphasis on the Executive Committee, which consists of a minimum of 11 voting members, including Lyons. The Houston Livestock Show and Rodeo (HLSR) is scheduled for March 3-22, 2015 on the grounds of Reliant-NRG Park. Beginning in 1932 at the Sam Houston Hall, the HLSR moved to the Sam Houston Coliseums in 1938. It remained there until 1968 when it was moved to the Houston Astrodome complex. In 2003, with the completion of Reliant Park, now known as NRG Park, the HLSR moved to its current location where more than 1,000,000 people attended the livestock show, rodeo, and accompanying events and activities.